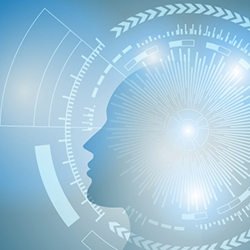 Government leaders and stakeholders find that artificial intelligence (AI) can help to address significant mission and performance challenges – and that agencies would benefit from increased sharing of effective practices and lessons learned. The IBM Center for The Business of Government and the Partnership for Public Service plan to release two reports that describe the impact and potential performance improvements that AI can bring to government in areas such as effective workplaces, skilled workforces, and mission-focused secure programs. The reports will highlight how AI technology can assist agencies in delivering positive outcomes for their constituents, based on practical experiences and lessons learned. Many agencies have not yet invested significantly in emerging technologies, and still run unprotected legacy systems that cannot process large amounts of data. More importantly, agencies have trouble attracting and retaining skilled staff who can implement AI-related technologies. Both problems stem from a culture that emphasizes pre-set approaches and legacy processes. The changing nature of work means that agency human capital leaders will see an increased need to understand their current workforce skill mix, and plan for future skill requirements as AI is introduced. The transition to AI will lead to people performing more complex tasks that may require systematic and large-scale retraining. A younger, more agile, technical workforce often seeks flexible work hours and interesting issues. Talented AI practitioners may want experience in both the government and the private sector, especially earlier on in their careers. Agencies can position themselves to be more attractive to newer professionals by providing more flexibility for moving in and out of government, while emphasizing the interesting problems that government works on -- highlighting important government missions will motivate new workers who want their public service to have social impact. This could have the additional benefit of bringing in fresh perspectives to accelerate innovation; agencies could even consider using AI to help identify the best talent from both sectors to address certain problems. Many tech professionals would rather spend time helping federal programs that have significant impact on the nation and world, rather than devote their days to creating another Snapchat filter. Challenges will remain – for example, even with NASA’s brand recognition and strength in connecting their people with the mission, the agency is challenged in today’s talent market to attract and compete for high demand STEM professionals – but steps like those discussed above can help government move forward. Academic and industry partnerships, including work with Federally Funded Research and Development Centers such the Department of Energy National Labs, can be leveraged to temporarily access technical expertise for solving public sector problems. Agencies can collaborate with partners by sharing data and working with machine learning analysis, custom software tools, and other complex data manipulation. Such partnerships already exist within the government, but can be expanded to help agencies become more proficient in using AI to solve problems. The results and algorithms produced by such partnerships should be examined by the government to ensure they are ethical, unbiased, and effective. A talented workforce is essential to AI adoption, but AI is not a panacea – it is another business tool that can help solve problems for government. Leaders should focus on identifying issues and producing outcomes, ensure that data for addressing those problems is accurate and timely, and then seek AI as a solution when appropriate. For example, one rust belt city decided to adopt AI, but residents cared more about having their potholes fixed in a timely manner. Instead of focusing on this issue and fixing potholes, city officials spent time and money on an AI system that was unnecessary to address their citizens’ needs. Government has significant opportunity for leveraging AI. However, this opportunity requires strong leadership and emphasis on a more flexible, innovative culture. Agency leaders can show employees that technology will improve the quality of their work, not put them out of a job. Leaders can help set expectations surrounding AI – unconventional skills are needed in the new workforce, and many problems can be solved with critical thinking before turning to AI as needed to address greater complexity. By encouraging a culture of innovation and scientific experimentation, leaders will allow their current workforce to understand the context and potential of AI, as well as attract new talent from academia and other non-traditional sectors that provide diverse perspectives. With a focus on fundamentals, human capital, and the transparent outcomes for constituents, agencies can apply AI to solve real problems.